Guardianship Attorney Dallas | The Ashmore Law Firm, P.C. 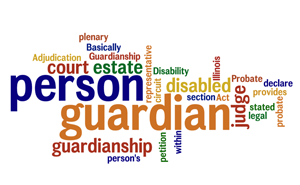 A guardianship allows you to protect a loved one. Guardianship in Texas allows you the peace of mind to know your loved one has food, clothing and shelter and is taken care of. It also allows you to protect the assets of your loved one. As guardian, you will never be kept in the dark again. You will be informed of the medical and mental well being of your loved one. Find out if a Guardianship is right for your loved one by requesting a free consultation with our office.